Value Creation Gaps get in the way of revenue, profit, and renewal targets. And they are everywhere. Filling Value Creation Gaps can be daunting. Valkre offers three cloud-based solutions that operate on their own or can be combined to create an enterprise value creation powerhouse. Structures the work to develop, test, improve, and quantify value propositions. Enables Sales and Marketing to align on, articulate, and personalize the value of their offerings to customers. 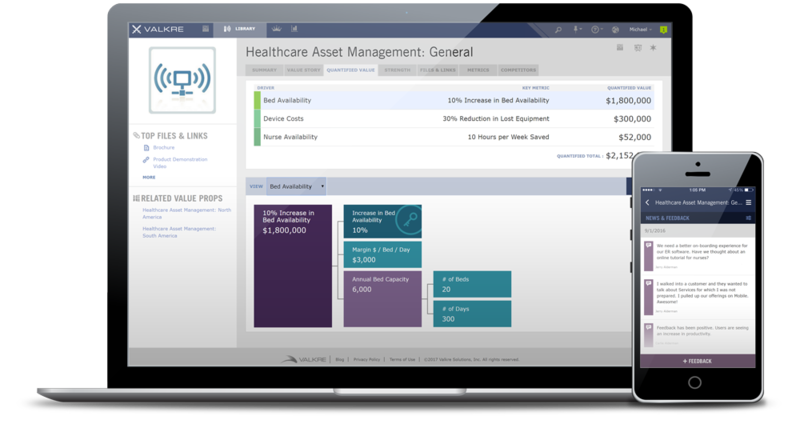 Combines account planning and value creation tools to enable comprehensive strategic account management. Valkre was co-created with leading B2B companies to fill Value Creation Gaps fast. You don't have to go it alone. Valkre provides expert support and training based on experience with many companies.